Suze Orman Long Term Care Insurance, does she recommend it? In her book, “The 9 Steps to Financial Freedom” Suze Orman has a section dedicated just to Suze Orman Long Term Care Insurance. This is a testament to how important this coverage is for anyone who has assets to protect. Suze Orman talks about how long term care insurance is really a smart financial planning tool for some people. Her advice is actually quite simple, as you’d probably expect. It’s clear cut; virtually all baby boomers, that is everyone who is in their 40’s, would be wise to investigate long term care insurance. Suze Orman long term care insurance chapter goes on to say that once boomers reach their 50’s, they are in the prime years to buy the protection of long term care insurance and make a wise investment. We have crunched the numbers and have found you will pay less in total premiums over the course of your life if you purchase Long Term Care Insurance coverage in your 50’s vs. waiting until your 60’s. This is assuming you don’t need to use the policy until you are 85, which seems reasonable. Suze Orman Long Term Care Insurance, a family issue. 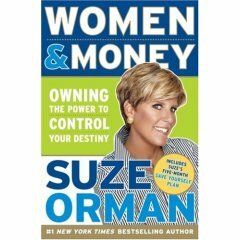 Suze Orman Long Term Care Insurance connection traces back to her own mother. I once heard her tell the story of what an eye opening experience it was for her when her own mother got to the point where she could no longer care for herself. Suze Orman had tried to get her mom to buy Long Term Care Insurance years before but could not convince her. Her mom ended up having a $30,000 per month bill! Suze Orman Long Term Care Insurance, Does she Recommend? After re-reading her chapter covering long term care, I went and did some research. What I found out was that Suze Orman is a fan of a good Long Term Care Insurance plan for those who have assets to protect. She says it’s not for everyone, but for people with assets above $50,000 and above, it’s something to consider. Any consumer advocate will recommend you shop around and get quotes from various companies. As independent agents, that’s exactly what we do. You can start now and get a comparison quote of top six blue-chip companies with side-by-side ratings. -No Matter What, Buy 5% Compound or 3% Compound Inflation Protection. If you’re under 75 and anticipate living into your 80’s or even 90’s, don’t get fooled into buying CPI or some other sub-par inflation protection. Let our advisors show you the power of getting a guaranteed rate over time. Are you researching Suze Orman long term care insurance? If so, we can help you shop the entire market of carriers and provide you a free side-by-side quote of the top six blue chip carriers. When carriers compete for your business, you’ll save money in the process. Depending on your age, your state, and the benefits you choose it will vary on which company has the best policy at the best price. This is why it is important to look at them all. LTC Tree will help you do exactly that from the comfort of your home with no sales presentation. The fact is, we have no preference to any one of the insurance companies, because we have independent agents who work with them all. We will be happy to quote you Suze Orman long term care insurance premiums from the top six long term care insurance carriers: Genworth, John Hancock, Mutual of Omaha, Transamerica, New York Life, United of Omaha and Mass Mutual. Simply complete this form if you have time. We will mail you out the quotes and product brochures from the top carriers. We’ll also help you shop and compare long term care insurance plans.